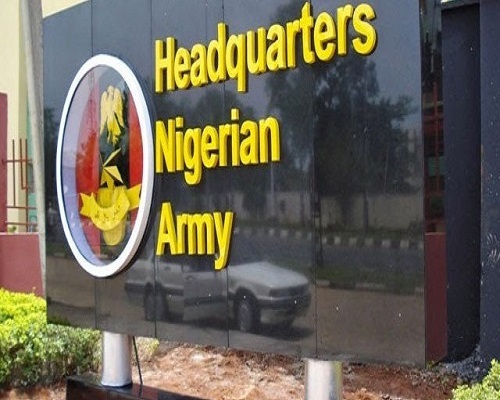 The Nigerian Army on Tuesday pulled out two Major Generals and three Brigradier Generals out of service at the Nigerian Army Medical Corps in Lagos. The generals that were pulled out are Maj.-Gen. Abimbola Amusu, Maj.-Gen. Patrick Falola, Brig.-Gen. Folorunsho Jegede, Brig.-Gen. O. Akinyode and Brig.-Gen. M. Robbinson. The pulling out parade of the five generals was witnessed by top military officers, both serving and retired. Amusu, in her valedictory remarks, attributed her success to hard work, dedication, commitment to service and divine help. She admonished serving military personnel to remain focused and resolute, and exhibit total loyalty to constituted authorities. “Your loyalty to the Federal Republic of Nigeria can best be given through vigilant security consciousness,” she said.